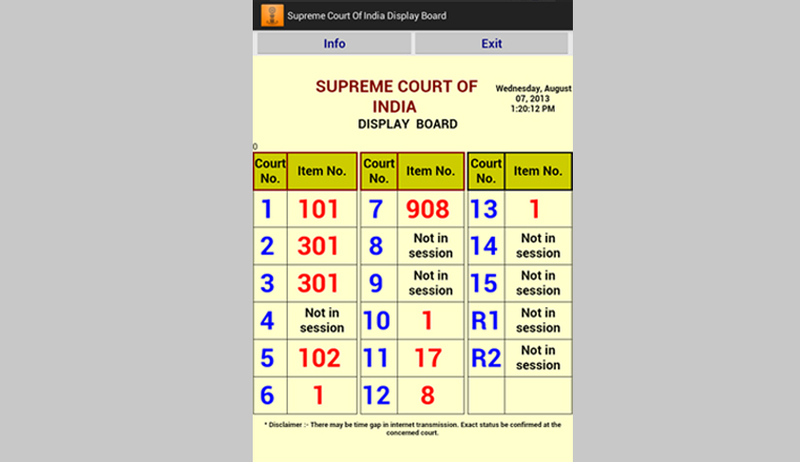 The Supreme Court of India has released an Android App for displaying the Supreme Court case status. The app is a replica of the display board present in the Supreme Court. Like the display board, the app will indicate the respective item number which is being heard across all the Courts. This application has been developed by C-DAC, Mumbai in consultation with e-Committee, Supreme Court of India. The app is sponsored by Department of Electronic and Information Technology (Deity), Ministry of Communications and Information Technology, Government of India. The app has come in handy for many advocates. Recently, the Kerala High Advocates Association has released a similar app which brings the court case number status which flashes on the LCD displays at the Kerala High Court, directly to the users’ smart phones.